Sometimes, we experience issues when we deep fry food. Mainly, we can't maintain the same temperature all the time. Sometimes, the heat could be high which makes the food burn and changes the color or sometimes low which makes the food to absorb oil. 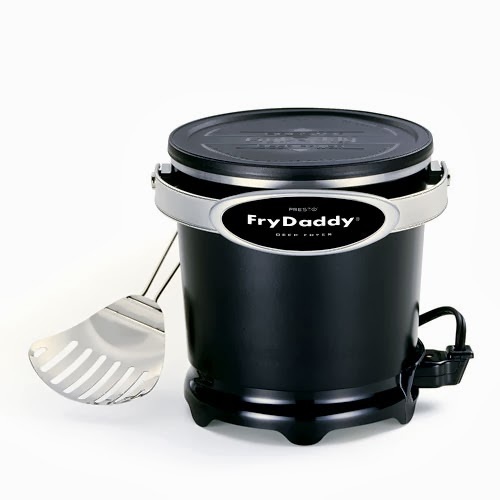 Here is the fryer which is useful for every homemaker. If you cook food for a longer time the color/temperature of the oil doesn't change. It is even all the time. Food is fried very quickly. You can cover with lid which doesn't allow oil to spill out. Since the storage space is small you can't serve more than 4 people at a time. I already bought this and used this many times. I recommend this to everyone.